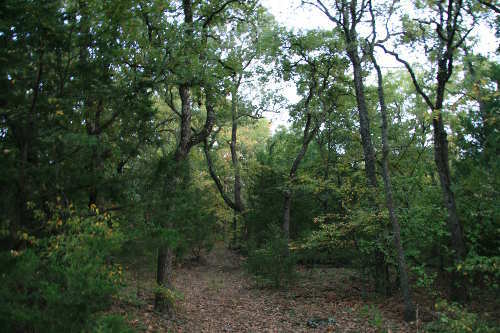 Located on 48 acres in the Eastern Cross Timbers, thick with post oaks, blackjack oaks and bramble, Emerald C Ranch really is a Sea of Green! Along with our herd of goats we have several cats, two guard dogs and a varying number of chickens. Our goats provide us with milk and meat, the cats help to control pest populations, the dogs keep away unwanted domestic and wild animals, and the chickens provide us with eggs and meat. I've often compared the dynamics of the ranch to a soap opera, with interactions and drama almost constant. Obviously, we love it and it provides us with endless entertainment and challenges. Here are a few of the birds that have visited the ranch over the years. Other than birds, we've also had plenty of deer, racoons, opossums, armadillos, gray squirrels and one gray fox. Wild Turkey - A gang of these wander down from the woods from time to time. Pair of Summer Tanagers - Identified by its red wings. Indigo Bunting - A rare one! We've only seen two of these so far. Eastern Bluebirds - We usually see flocks of these hanging around the horse pen in early spring.